You know how many New Yorkers have never actually been to the Statue of Liberty because it is just too much of a hassle since it will always be there anyway? 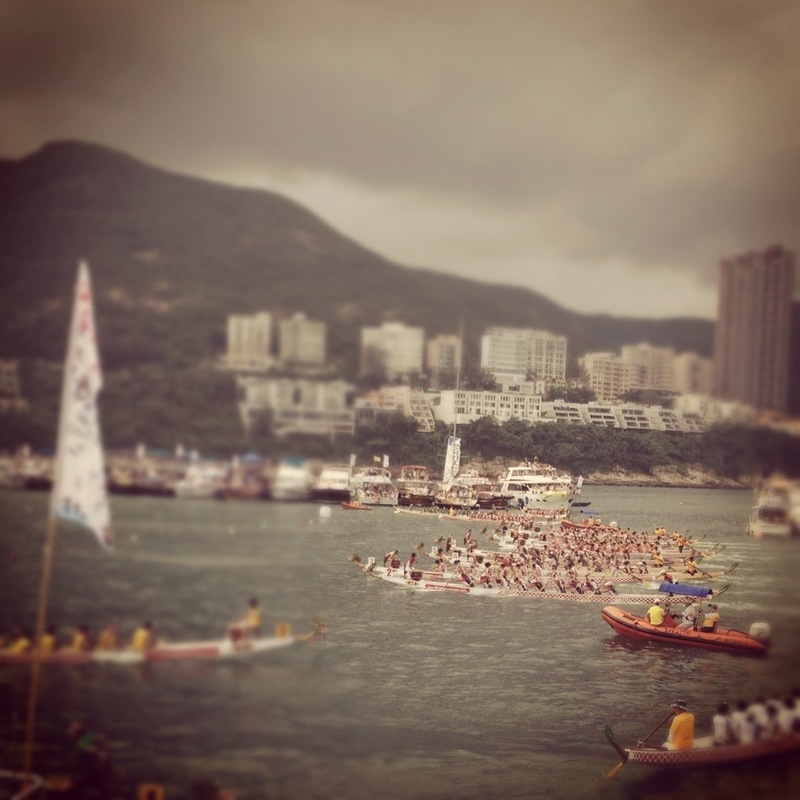 Well, that is how I felt about the annual Dragon Boat races in Hong Kong. Held every May of the old calendar (which roughly comes out to June), people crowd the beaches of Stanley to watch other people (I reckon mostly your friends?) participate in the Dragon Boat races, and do the “dragon boat swim,” which is supposed to give you good health. Huge crowds of hot, perspiring and salty beach go-ers and subsequent queues of people sandwiching together on the bus (because it would be a miracle to come across an empty cab) trying to get back to civilization just didn’t sound very exciting. Well after 20 odd years in Hong Kong, I finally made it out there this year! Thanks to my friend’s invitation onto their company boat, it was a lot better than I’d envisioned. We were only stuck in traffic for a hour and lost for about 20 minutes, trying to find our way to the docks through all the traffic control. We arrived just in time to catch the last few races (in our opinion, the “best” ones!). For those interested, that is around 4:30pm. Many people i.e. my parents, are under the misconception that it all happens super early in the morning and is done by noon. Just as we were frantically calling cab companies, to see if any would come in to pick us up and I was commenting to my friends that since we’re already on a boat, the boat should just take us back to civilization, someone came over to tell us that the boat was taking us back to civilization. I could not have planned it better myself!